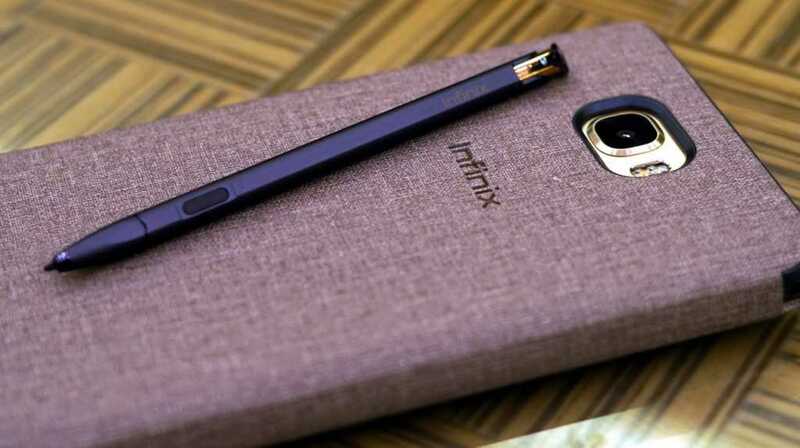 • The Infinix Note 5 Pro or the Note 5 Pro Stylus is gonna be launching anytime soon and as expected, it's gonna be a bigger, specier and a more expensive version of the regular Note 5 with Infinix iconic X-Pen, so sit back and relax, cause you're going to be blown off your feet.. enjoy. Alright now, so a couple months after Infinix released its iconic Note phone, the Infinix Note 5, and here we are, already being teased with the pro version of it, the Infinix Note 5 Pro, or the Note 5 Stylus, or the Note 5 Pro Stylus, i don't know, whatever they wish and choose to call it is none of my business, likewise is it none of your business also. So with that out of the way, lets just go ahead to let you all know about the leaks and rumors we've been hearing and getting so far about the new and next big, and the most anticipated Infinix smart phone right now, The Infinix Note 5 Pro or Stylus. Now let's get down to it. So first of, let's start with the display of the device, now looking at the picture of this box we got below, though not very clear and crispy as i would have wanted it to be, but it seems the Note 5 Pro is gonna be launching with the same 6.0 Inch FHD display we saw on the regular Note 5. Now we can't assure you if that picture we have up there is the real deal, but personally, that picture looks too good to be fake.. But since this just a gathering and collection of rumors, i bet you would want to take it with just a lil bit of salt, and pepper. Okay now one thing that differentiates the two Infinix Note phones apart is the X-Pen, we saw it on the Note 4 Pro last year, and this year, it is making a return match on the this year's Note 5 Pro. But one major upgrade on this year's X-Pen from the one we saw last year on the Note 4 is that, for this year's X-Pen, the pen is gonna be attached or built into the phone's body instead, unlike what we saw last year where you had to carry a very bulky phone case if you needed to use and keep the X-Pen with you because there was no way you could insert it into the phone.. A very good one and an upgrade that will be very much welcomed by the masses if you'd ask me. But apart from that, we don't still don't know if the pen is gonna have all those extra special stunts like Bluetooth Integration, you know using the pen to control your phone if you know what i mean. But as always and as usual, lets just keep our fingers crossed and wait to see what Infinix finally comes up with. Okay for the first time in this year, it looks like Infinix is gonna be giving us one more smart phone with a metal aluminum body after releasing and selling to us a series and bunch of plastic phones which i've cried bitterly and complained about, but it seemed like no one heard my voice. Although i heard rumors that the Infinix Note 5 Pro is gonna launch in an all glass body, but remember that box from up there, yes the box says otherwise. Take a close look at that box again.. So once again from the box, we could all see that the Infinix Note 5 Pro is gonna be launching in a full metal unibody, but if Infinix still decides to change their minds within a few days, i wouldn't mind. Okay then, now let's get to the next most anticipated feature of this phone. Well.. well.. well, it seems Infinix Mobility is still not ready to give any of us dual cameras on the Note phones, as the box still states that the Infinix Note 5 Pro is gonna be launching with a 16MP back camera and another 16MP at the front. Now it doesn't say if it was gonna be a single lens or a double lens, but i know it was gonna be a double, Infinix would have stated that clearly on the box.. So once again, keep your fingers crossed and hope for the best. Now even if, i was asleep, and somebody comes to tap me and asks, "what software and android version do you think the Infinix Note 5 Pro is gonna launch with?" , i will just ahead and tell him/her androidOne 8.1 Oreo Version, yes because that is what its gonna be, now i don't expect you to ask me how i got to know about this, just take a second look at the box up there, it says it all. And then for the battery, well i'm mostly sorry to say this, but it seems this bigger Infinix device, is gonna be launching with a smaller battery, a 4000mAh power battery, against the 4500mAh power battery that we saw on the regular Note 5. Now before you start closing this page out of anger and disappointment, here's a reason why they had to reduce the battery on the Note 5 Pro. 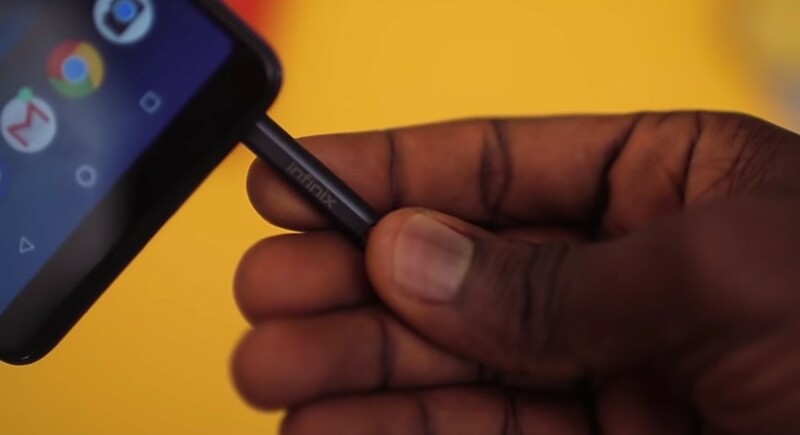 Now i don't know how true is this, but i think i overheard someone sometime ago saying Infinix had to reduce the size of the battery on the Note 5 Pro, so they could make out place for the X-Pen to stay on the inside of the phone. So with you want a futuristic X-Pen, then you must be ready to make sacrifices.. hey stop looking at me that way, i am not Infinix. 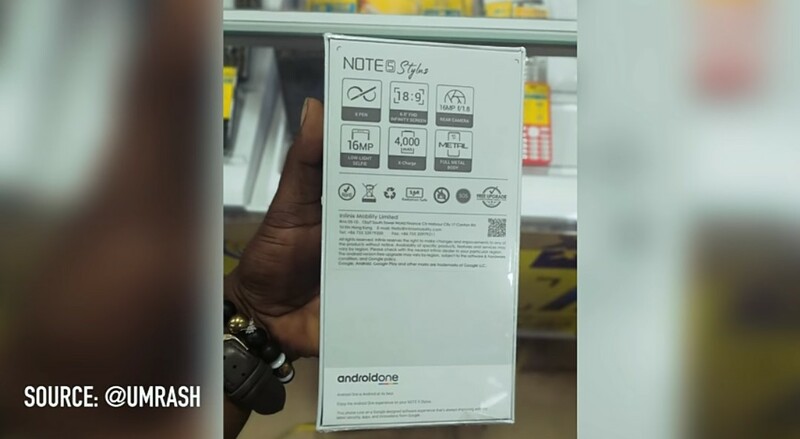 Okay so since the regular Note phone had a 3GB RAM, coupled with a 32GB Inbuilt Storage, then i guess we need no prophet to tell us that this current Note will be coming with a 4GB of RAM, and a 64GB Storage.. Period. Well for the launch date, well i still don't know how true this is, but Infinix says they are gonna be launching the Infinix Note 5 Pro Stylus on the 10th Day of September 2018, which is probably tomorrow, that is if you're reading this post the same day it was posted. So tomorrow is just a few hours from now, so i bet the best thing we could do right now, is to sit back, cross your legs and relax.. there's no hurrying in life you know..
And then finally for the pricing.. well how do you expect me to know, i simply don't know how much the Infinix Note 5 Pro is gonna be sold for, i am as confused as you, so let's just both wait until the phone begins selling, why are you so much in a hurry..?.. take a chill pill bro. Alright everyone, so those are everything we know about the next Infinix Note phone so far, let us know what feature you're most anticipating for on the Note 5 Pro in the comments section below, and don't forget to share this article and subscribe to our daily newsletter for free..